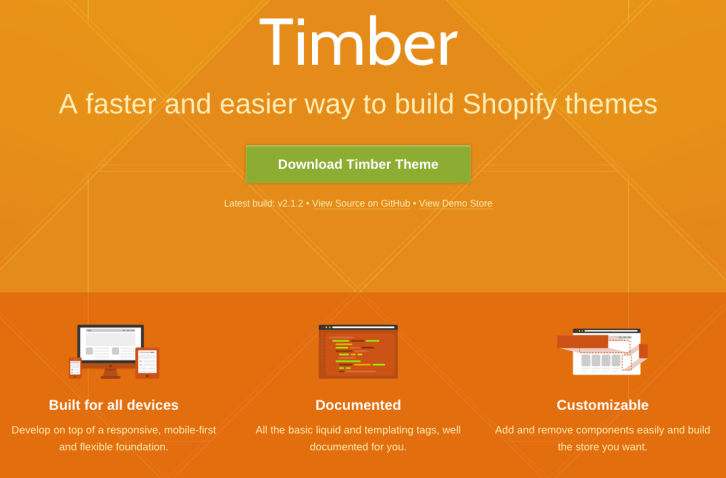 Shopify Timber is a front-end framework which makes building Shopify themes quick and easy. It can be used by theme creators of any skill level for themes of any scope. Seasoned pros and newbies alike can benefit from the starter templates, liquid markup, modules, and CSS frameworks provided in Timber. Shopify Timber has been tested to work in IE 8+, Safari, Chrome, Firefox, Opera, Safari for iOS, Chrome for Android, and the stock Android browser. Timber is built with Sass, but you don’t have to know it to use it. The compiling is all done on the Shopify server, so edit the .scss.liquid file just as you would CSS and watch the magic happen on your site.